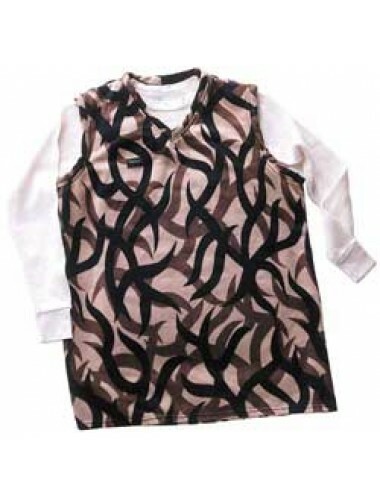 This DAY ONE V-Neck vest is designed to be layered. In Cowboy Suede it's a wonderful wind blocker, keeping your body core warm. 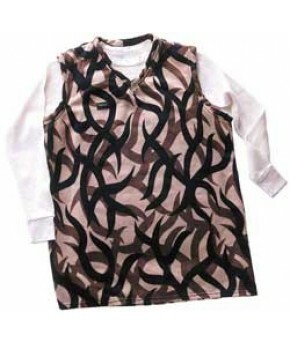 In fleece it maintains a breathable warmth beneath your outside hunting wear. Team it up with light weight outer shells and our long sleeve T-shirt or Henley for chilly mornings and warm days. Great in the sleeping bag. Allows freedom in arm movement. Binocular Holder pocket sewn on the front chest area.